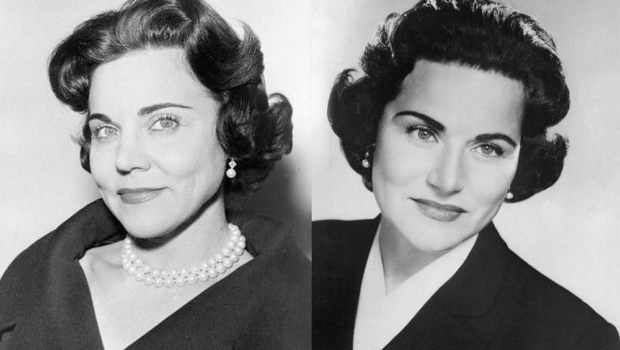 Want to learn more about Sioux City’s most famous twins – born Pauline and Esther Friedman on July 4, 1918, but better known by their pseudonyms, Abigail Van Buren and Ann Landers, respectively? The two gained international acclaim for their advice columns in two competing Chicago newspapers in the 1950s. Learn more about the advice-giving sisters at the Sioux City Public Museum’s program, “Conversations with Ann and Abby” on Sunday, March 12 at 2 p.m. The Sioux City Journal’s Bruce Miller and Lynn Zerschling will share history and stories about the legendary columnists in the afternoon discussion. Zerschling will discuss the columnists’ background growing up in Sioux City and attending Central High School and Morningside College. Miller will talk about the twins’ life-long connections to Sioux City and their impact on journalism as well as his interactions with them and their families. Attendees are invited to bring their favorite piece of advice from the columnists. The program is free and open to the public. The Sioux City Public Museum is located at 607 4th Street in downtown Sioux City. For more information, call 712-279-6174 or visit siouxcitymuseum.org.